Learn to agree to disagree, y'all. Everyone has an opinion and their right to it. We can all easily respect both that opinion and the person who is making it. I definitely know y'all can, so let's keep it that way. 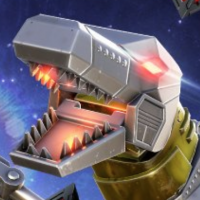 We already know I'm out here throwing Grimlock at everything though it is a horrible idea, but I do it anyways because I just love my DinoKing. Oh yes i do. Do you? I'm happy to see that this has gotten the attention of some people. I'd like to clear up a few things. First, I'm well aware that bot lists vary from person-to-person and differs depending on a specific situation. While I can't change the first one, the second I can clarify as these are looking at a bots strengths and weaknesses, and comparing it to their designated class. This is much better than comparing say Optimus (either version works) to Hound. Both bots are very different and don't compare because there are no Warriors that can armor break and no Tactician that can increase their critical damage with a buff. From an obtainability standpoint, Windblade and Barricade come out on top. It's no doubt. However, Windblade is the only one of the three that does not require a dupe (because it increases her crit-rate), while Bee and Barricade do. Bumblebee's dupe passively gains power and Barricade allows his Backfires to stack. Obviously, this makes both much better than their base versions, but Bumblebee has the one thing that nobody else has, and that's his Shield Break ability. Now granted, Windblade has a power counter (her special one) and Barricade's backfires are very powerful. However, I will rule out Barricade now and say that he's better at countering Demolitions and punishing their missed special hits. This is good against Demos, but isn't always the thing you need to counter Tech class utility (healing, shields, power, etc). Both Bumblebee and Windblade are very good in their own rights and for countering Techs. 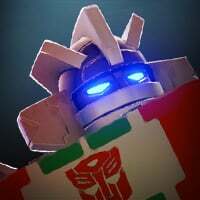 However, within the current standings, Bumblebee can counter five out of eight (5/8) Tech bots with his Shield Break (those being Mirage, Wheeljack, Rhinox, Soundwave, and Blaster), and Windblade can counter two (Soundwave and Blaster [Maybe Ratchet's Self-Diagnostics, but testing is required]). Obviously, this is a major advantage for Bumblebee and makes him optimal against Tech class bots. While it can't be used against anybody else, those fights are more situational than general. If we really wanted to make it more situational, Windblade can counter two additional bots with her power shut down, those bots being Cheetor (if you can catch him) and Sideswipe (again, if you can get enough power before his sig depletes). I hope that explains it for those wondering why I chose Bee over both Barricade and Windblade. As I've said, they're all good. However, these are my opinions and I believe Barricade is better for bots who like to use their specials, and Windblade is the "Warrior" of the Scout class. As Vydious said at the top of page two, throwing a Grimlock at all your problems is not gonna do very well. However, it'll postpone it better than Motormaster. Speaking of, Motormaster is much, much more offensive oriented. This isn't bad if it weren't for the fact named Cyclonus. While Grimlock is still at a disadvantage, you won't be stunned like that King of the Road. The other point is that Grimlock's dupe is a counter to all damaging debuffs. Motormaster's dupe requires you to take damage, and the full potential isn't reached until you're left with 20% health. The other thing is that you still take damage while you're unstoppable. I believe (correct me if I am wrong) that most players think it's an "immunity" buff, as in you don't take damage and you don't flinch (when you get hit and you recoil back a bit). Let's be very clear here: Megatronus' Relic of Immortality is an immunity buff; you don't take ANY damage, but you can flinch. Unstoppable buffs are an unstoppable buff (how poetic of me...); you still take damage, but you don't flinch. If y'all think I hate Motormaster, you're wrong. He was my first three-star Brawler. However, it won't stop me from saying that Grimlock is better than him from most standpoints. To recap, I placed Grimlock above Motormaster because he's a much better counter to Warrior bots, as 6/7 of them can inflict bleeds. Motormaster is not as good because you have to be at low health to reach his full potential as a Brawler. I don't think people like Rhinox because, if we're being honest here, his damage is a little underwhelming. I do agree that Shockwave is good and his shock damage isn't super shocking for his name. However, Shockwave is an easy character to play. All you have to do is stand there, build up your energy charges and use a heavy or special. That's it. And frankly, that's all you have. You have no counter against special hits (Well, your Undo is very nice but you're required to fill a power bar before it has a chance to activate.) and no reliable way of gaining power. Now granted, all of these things I said aren't done as well with Rhinox. However, Rhinox's shields are VERY strong against special hits. 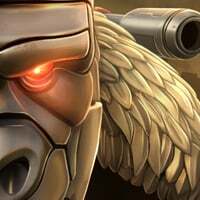 Demo specials that should do well over one or two thousand damage are instantly reduced to four or six hundred damage. And, while you don't power drain, you can power lock, which reduces the opponent's current power by a little bit. "But what about those damaging debuffs?" Well, Rhinox can inflict Bleeds with ranged attacks and ALL of his special attacks. Compared to Shockwave, debuffs are more frequent with Rhinox. "Ahem. Stupid. Special one doesn't inflict bleed." Au contraire. Special one removes an attacking buff (Attack, Melee, Crit-Damage, etc) and applies a bleed that, albeit doesn't do a lot of damage, lasts for a very long time. While you have to spam special ones to remove multiple buffs (this is apparent for Ramjet and Mixmaster), this ability is very powerful. I won't say that Shockwave is bad. He's just too easy, simple, and more offensive than Rhinox, who is more defensive. One thing I will give Shockwave is that Bumblebee's Shield Break doesn't affect him (OH WOW SLAG COMES FULL CIRCLE!) but Rhinox can reduce damage like a chapmion. Plus, while Rhinox's shields are up, Burns and Shocks deal less damage, something most Demos deal (well mainly just Ironhide. Mixmaster is much more rare). This. Was. Long. Like, laying out Unicron's-parts-in-a-straight-line long. However, I hope this clears up some of my choices with my tier list. If anybody has further questions, I ask you to DM me on discord. My user ID is Gunslinger.24110#0971 and I ask that you direct all questions there. Thank you for your time! Really no ones list is wrong. Everyone has their preferances. All in all, I can say all bots are good in the right hands. Much respect to everyone’s opinion on who they think is the best for them! Thanks for pointing this out! I've changed it! 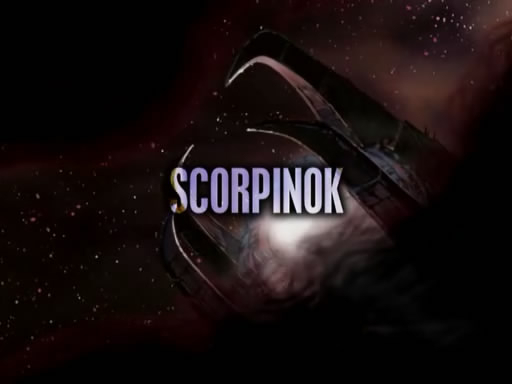 Don't worry, Energon did it first.